DAVID LE/Staff photo. 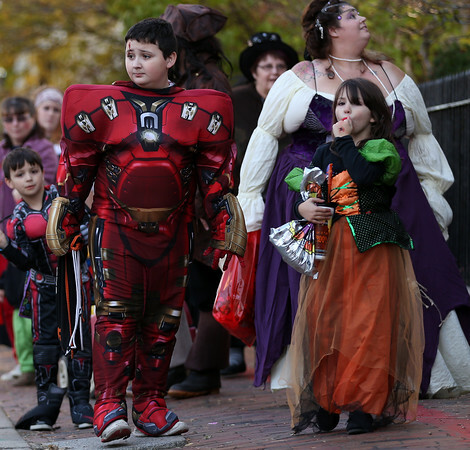 Aiden and Lilyanna Baker, of Maine, walk towards the Salem Witch Museum on Saturday afternoon. 10/31/15.